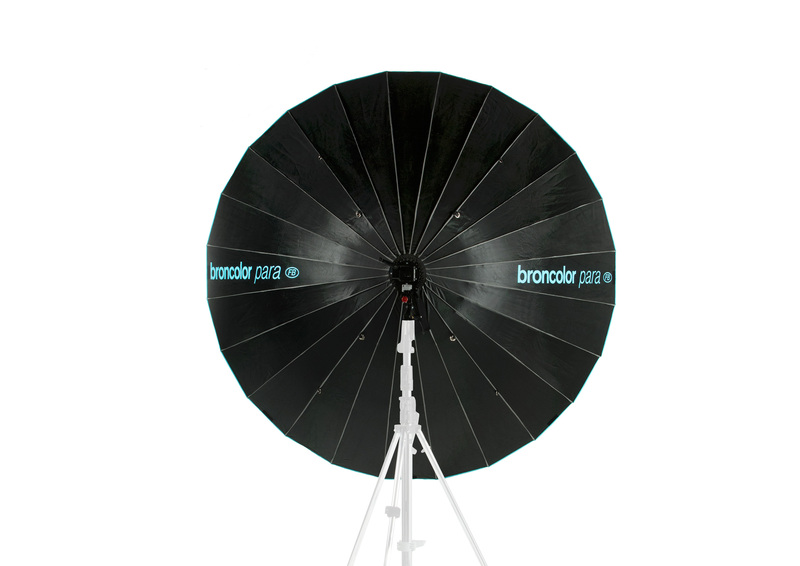 Parabolic umbrella with 24 braces, diameter 170 cm / 5.6 ft. and very shiny silver coating on the inside. 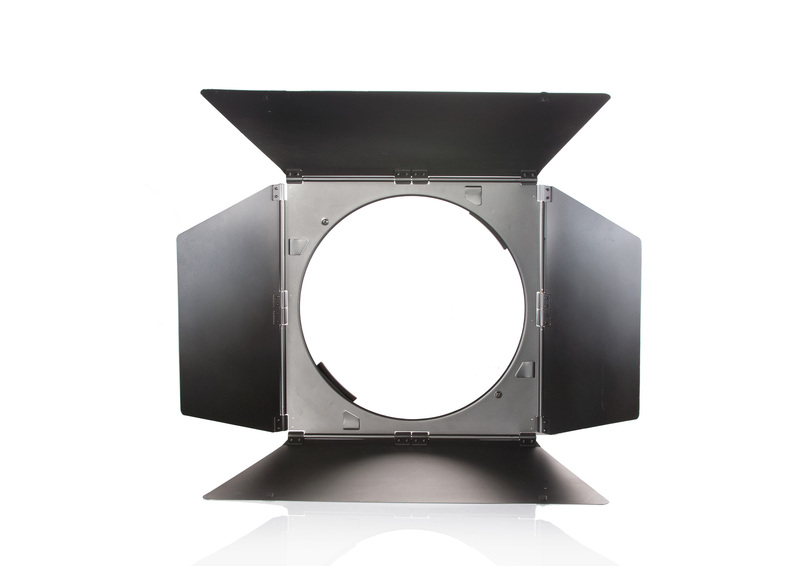 Very precise front focusing device. 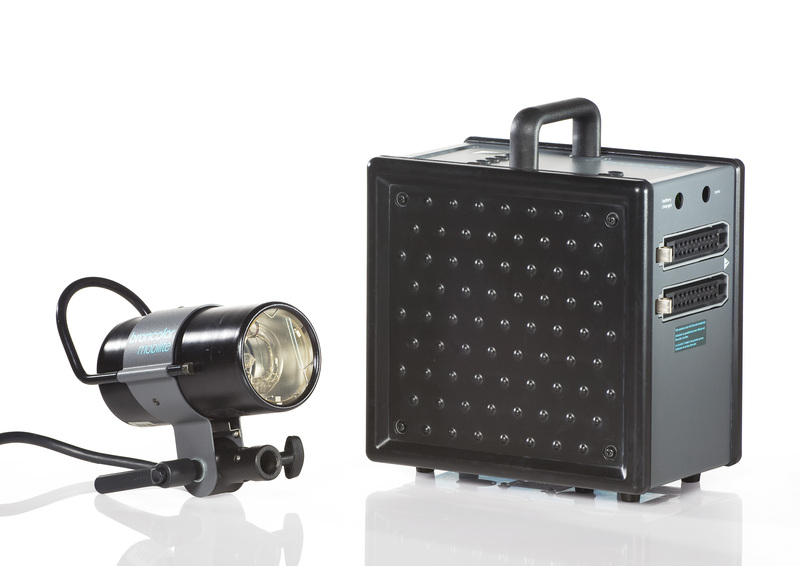 Optimised for operation with Pulso G, Unilite, Ringflash P, Pulso Twin* and Pulso 8* lamps. 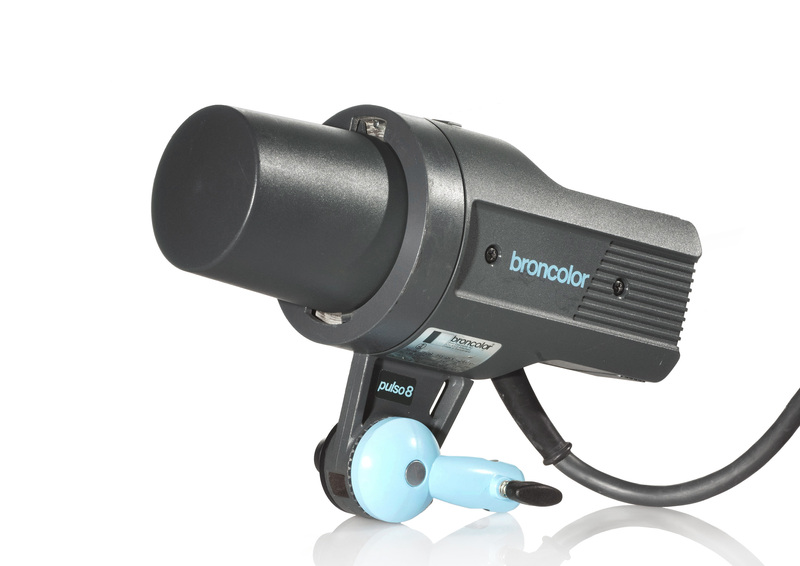 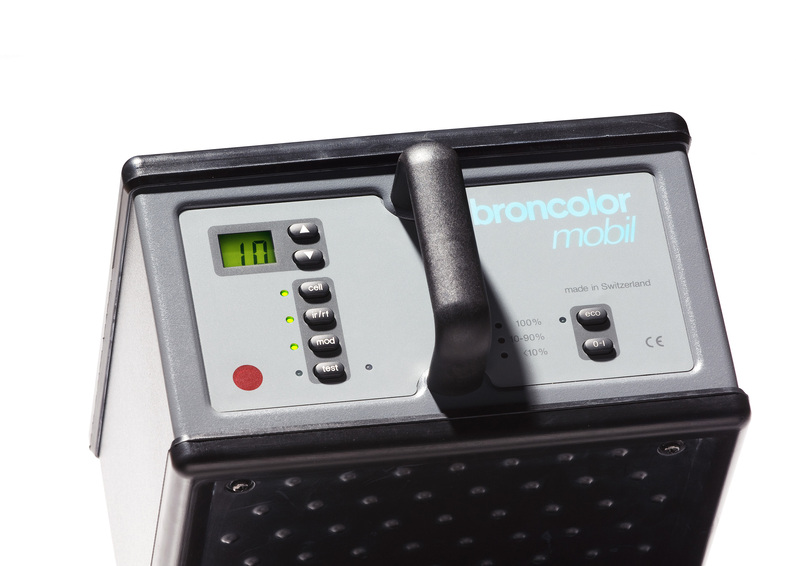 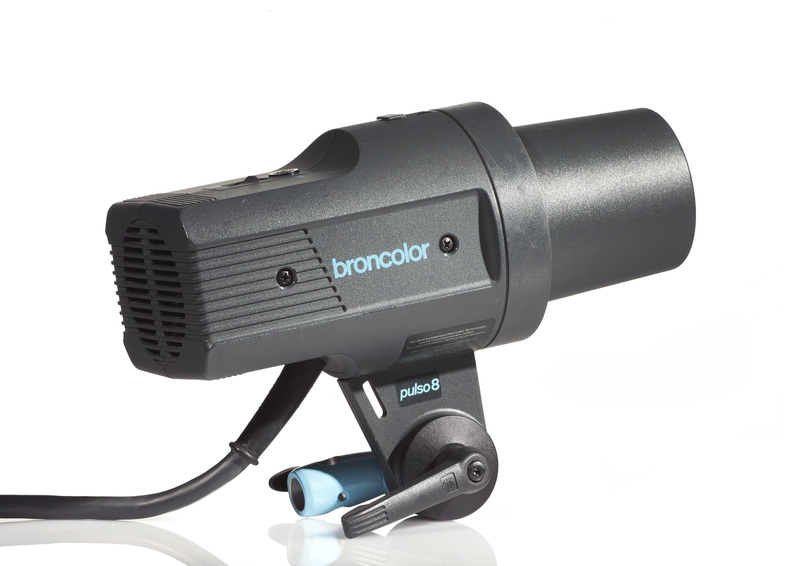 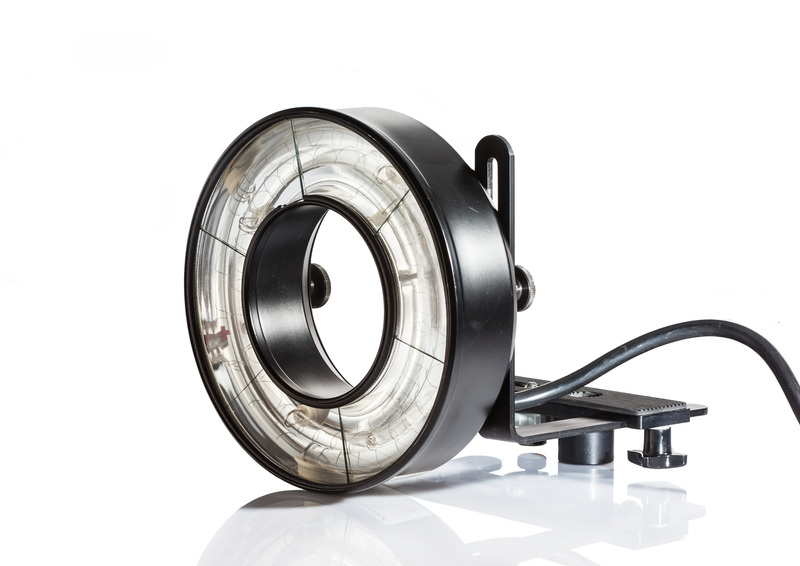 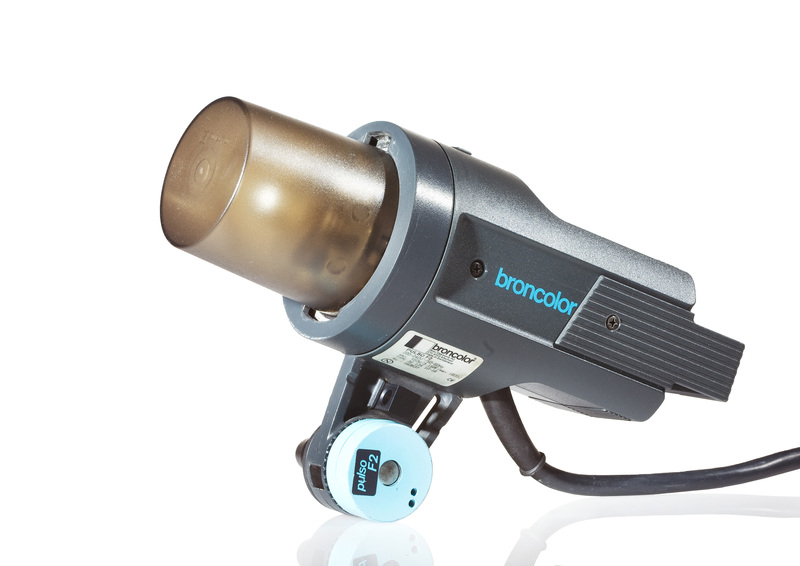 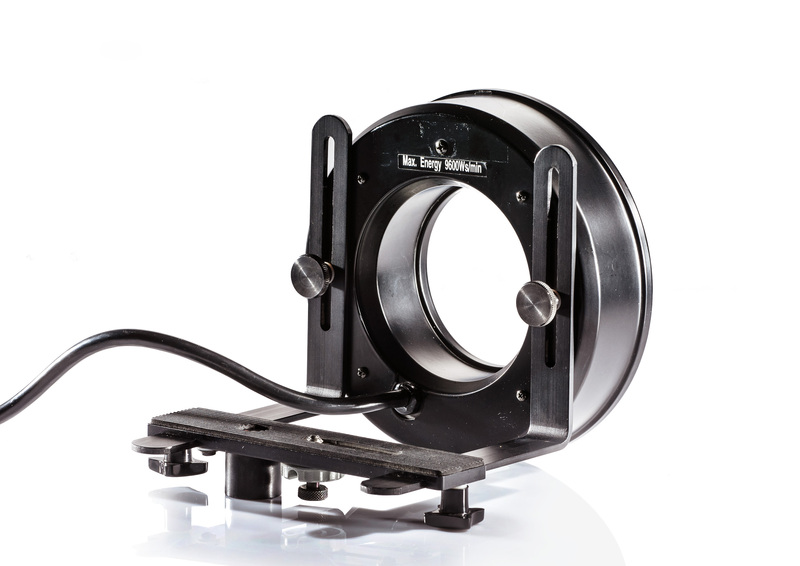 Can also be used with the broncolor daylight lamp HMI F575.800*. 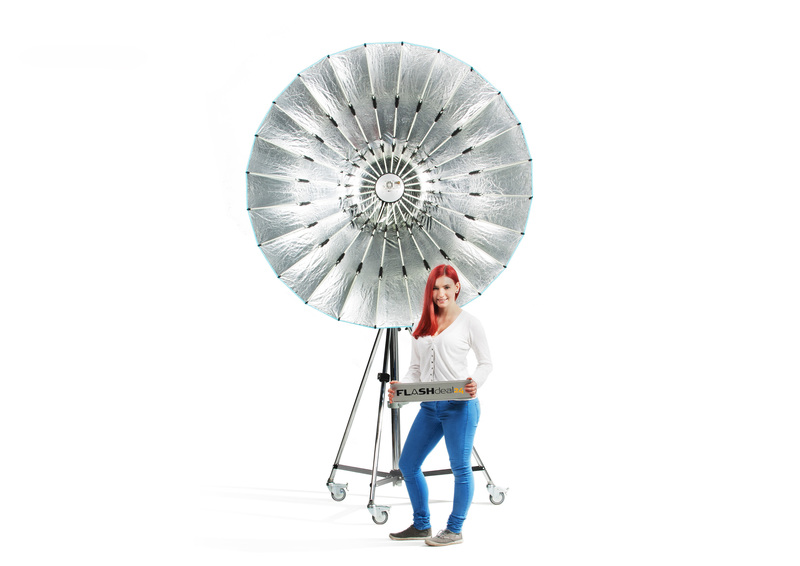 The design of the Para 170 FB results in a very high light efficiency. 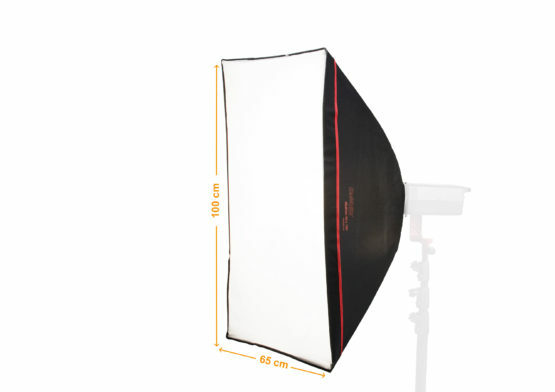 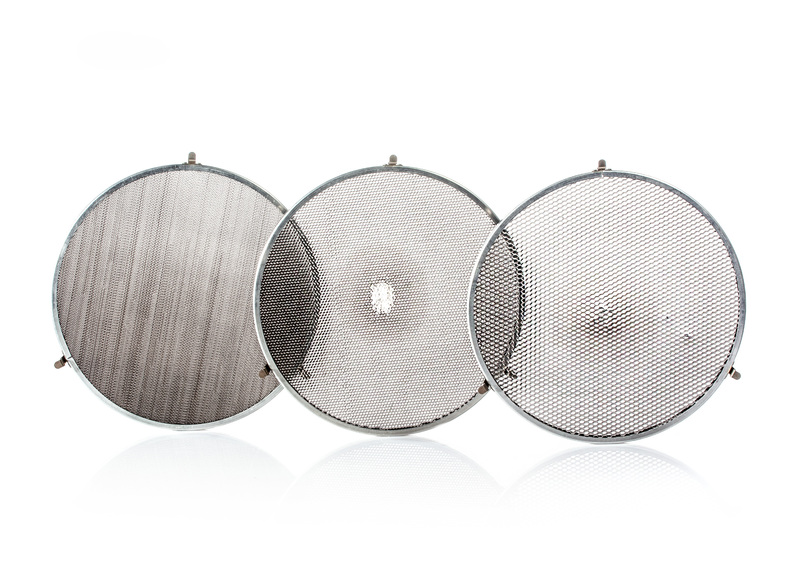 It allows the choice of directed light with high contrast to extremely soft light. 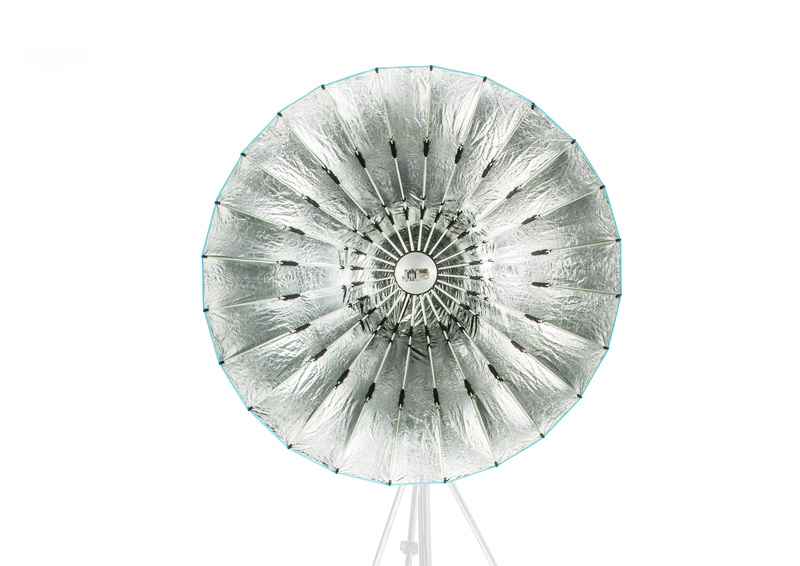 In comparison to a large area lamp the light stays constantly brilliant, shrouding the object like a cloud of light and bringing out wonderfully the structures. 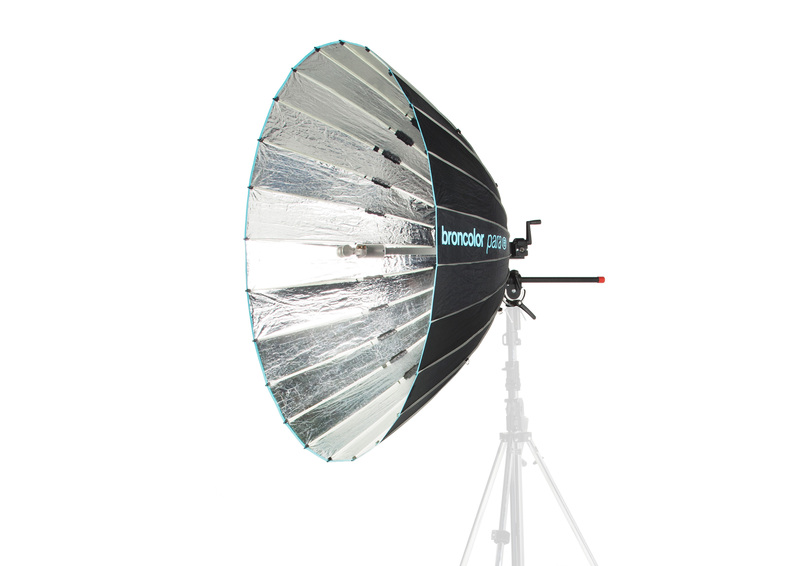 Due to the calculated parabolic shape of the umbrella, light fall off towards the edges is negligible. 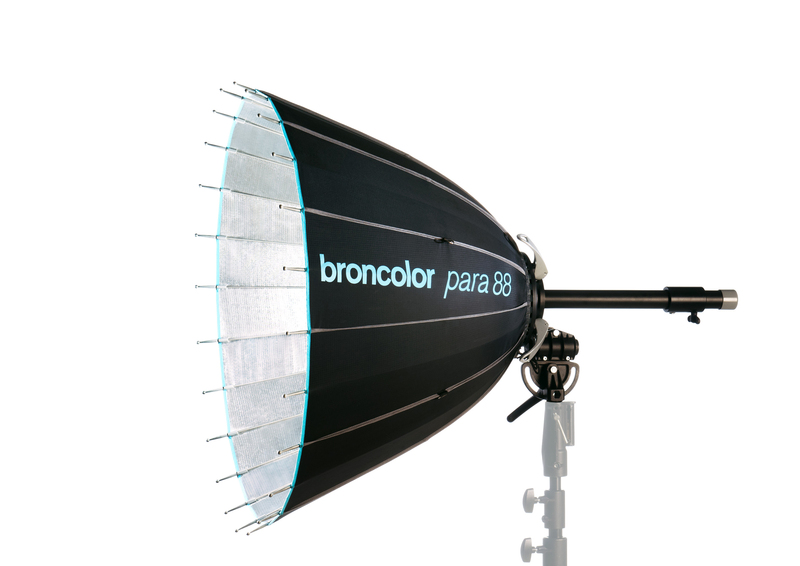 In the apex of the umbrella, that means at the back of the Para FB, there is a crank handle. 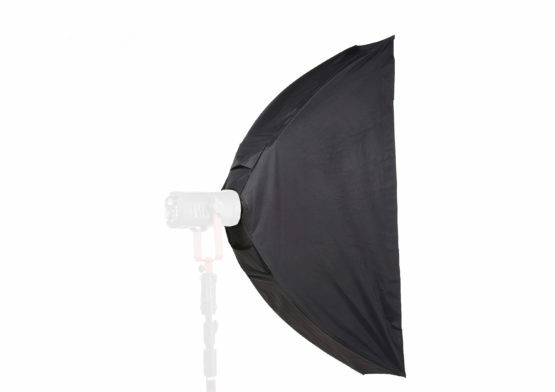 Using that crank handle, when mounting, the new mechanism opens up and tensions the umbrella completely, without any effort. 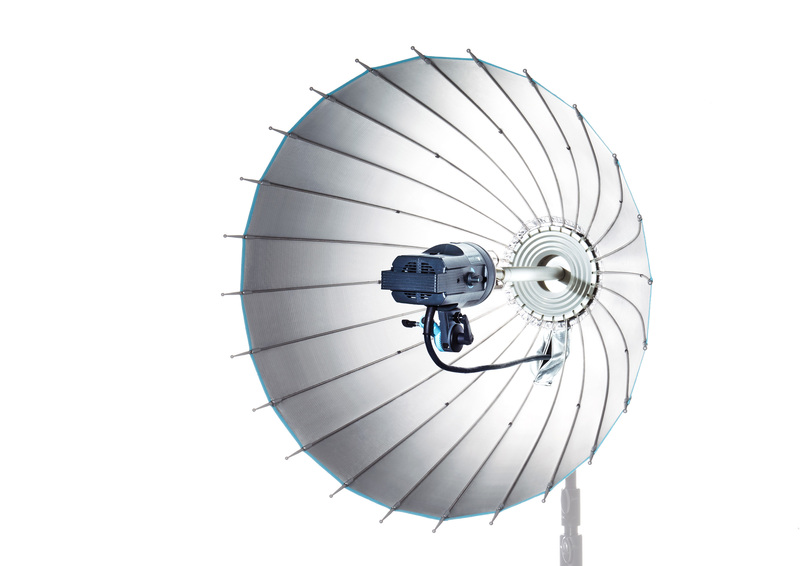 The aluminum rod with continuous fine adjustment, and lamp support serve for focusing the light source, by sliding the lamp parallel to the optical axis. 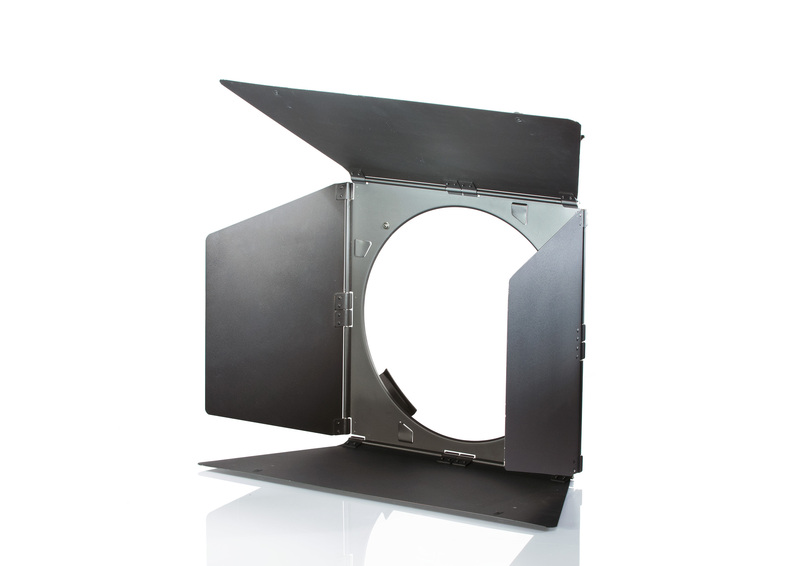 The focusing device is a integrated in the umbrella. 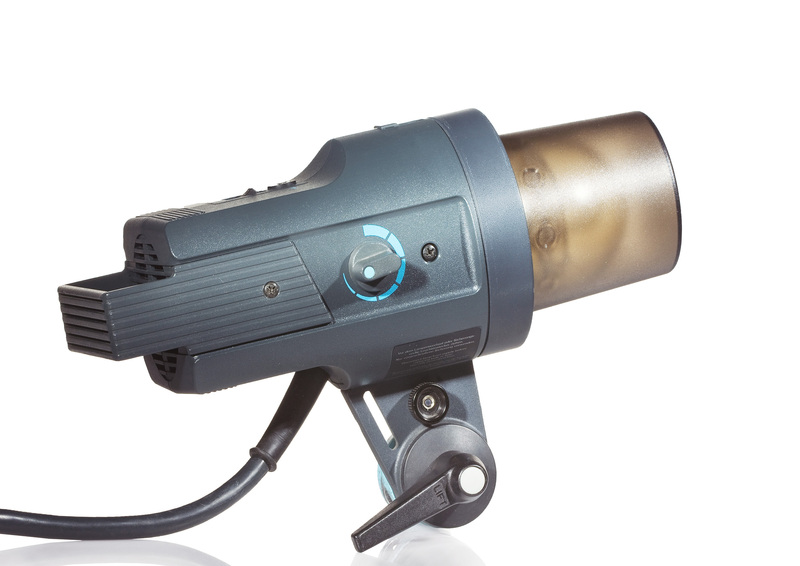 To stabilize the Para 170 FB also under unfavorable conditions, for example in the open air, eight fastening-eyelets are integrated on the outer side. 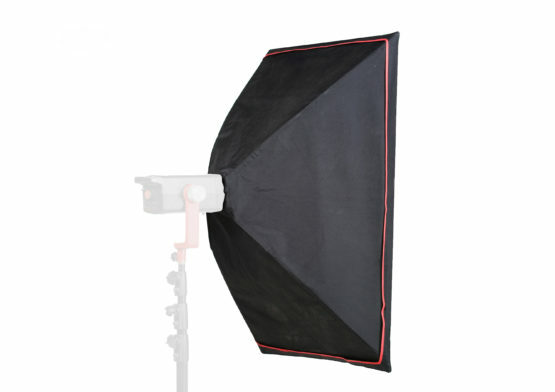 With these, the umbrella can be suspended from the ceiling or secured on the ground by means of tension ropes. 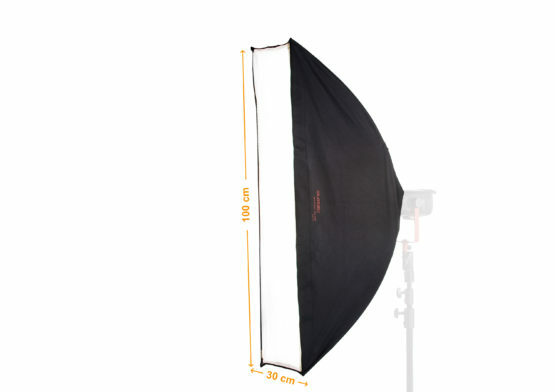 It can be shut like a normal umbrella and folded lengthways like a pocket umbrella for transport and storage.